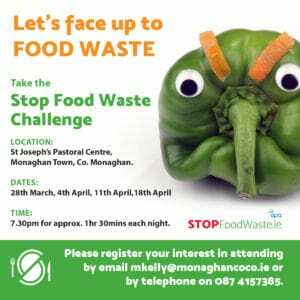 The Stop Food Waste Challenge is a fun and interactive course that teaches participants practical skills to reduce food waste and save money. Dates and Times: 28th March, 4th April, 11th April and 18th April at 7:30pm for approx. 1 hr 30 mins each night.